The bid to attain UN membership is a reflection of the impasse the Palestinian leadership reached in the negotiations with the Israelis and their American sponsor. It is the PLO/PA attempt to break out of the deadlock despite the risks involved to the PLO’s claim to be the sole representative of the Palestinian people in their quest to secure their right of return and self-determination. Palestinians in Lebanon took different positions towards the bid. Some cheered enthusiastically (Fatah and PLO factions) while others expressed reservations and/or rejected it (Hamas and the Islamic Jihad Movement). Many were concerned that the bid could affect the inalienable rights of the Palestinian people and in particular their rights of return and self-determination. Civil society organizations, especially the committees and bodies involved in a movement for the right of return explicitly rejected the bid and even accused the PA of betrayal and squandering national rights in the “game of nations”. Palestinian civil society organizations in Lebanon, particularly those organizations involved with the movement for the right of return, arranged meetings and symposiums to explain how the bid jeopardizes the rights of refugees including their right of return.1 These events were organized in association with civil society organizations in Palestine and in the Diaspora, notably the Boycott National Committee (BNC) and the Global Palestine Right of Return Coalition. The real popular position towards the statehood bid can be gauged by comparing the public celebrations organized by the Fatah and PLO factions in support of the bid under the title “Palestine: the 194th State” in the UN with civil society responses. Typically, the Fatah and PLO events lacked popular support and were mainly attended by members and loyalists of the PLO/PA. 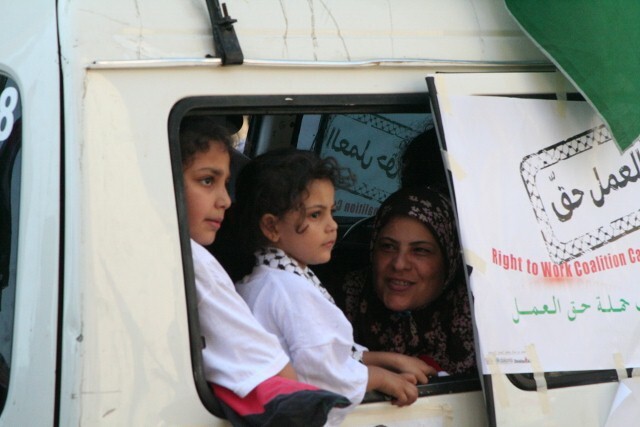 In contrast, the events organized by civil society such as the Return March on the 63rd anniversary of the Nakba (May 15, 2011) were greeted with popular enthusiasm. The statehood bid began in Ramallah, where it was launched with a chair made of olive wood and featuring the emblem of the UN. The chair later arrived in Lebanon and toured the refugee camps, earning the name “The Palestine UN Chair Campaign.” The Return March, on the other hand, was a purely Palestinian civil society initiative from the start but towards the end it was manipulated by the factions. It sprang from the refugee camps and involved around 70,000 Palestinian participants, mostly Diaspora-born third generation Palestinians of the Nakba. The sight was spectacular; many members of this generation carried their grandparents on their backs as they climbed up to Maroun Al-Ras overlooking Palestine. They tore through the barbed wires separating them from the land of their ancestors. Six of them fell as martyrs at the fence, bringing down with them the wretched Zionist concept “the old ones die, the younger ones forget.” What the marchers emphasized was their refusal to trade in their right of return for the illusion of a promised state. In spite of the attempts to politically exploit it, the Return March successfully communicated its message to the Lebanese state and society: That they upheld the right of return and rejected resettlement. The March proved that for the majority of Palestinians, “return” means the opposite of Nakba, of asylum and exile, and that the thought of returning to their homes in Palestine has remained the force driving the contemporary Palestinian struggle and the dream that has become part of the collective memory of shared grief, suffering, and hope. For six decades, the Palestinian refugees in Lebanon, especially those in the refugee camps, have been living in dire conditions incompatible with the most basic standards of human dignity, and fundamental human rights.3 They are subject to economic, institutional, and spatial marginalization and their access to employment and social security is severely restricted. The refugees are excluded from participating in Lebanese cultural and social institutions and the refugee camps have been turned into semi-isolated islands functioning as containment centers for people who are viewed as a threat to the host society. This marginalization of the Palestinian community is often associated with a history of continuous violence and displacement. The Palestinian presence in Lebanon and Lebanese-Palestinian relations can be divided into several distinct periods.4 The period of adaptation and hope lasted from 1948-1958, during which Palestinian refugees received a warm welcome from the Lebanese, both at the official and popular levels. They enjoyed a relatively reasonable degree of political and organizational freedom as well as employment opportunities during the economic boom in Lebanon in the 1950s. A period of oppression and marginalization began in 1958 when General Fouad Chehab rose to power. Attempts to regulate and control the Palestinian presence in Lebanon involved segregation, coercion, and repression, through the banning of political, media, and associational activities in the camps. This period ended with the so-called “camps uprising” and the signing of the Cairo Agreement in 1969, under which the presence of Palestinian guerrillas would be tolerated. During the period of prosperity and institution-building (1969-1982), the state’s “coercive power” declined and the Palestinian camps became autonomous and self-managed for the first time. The Palestinian presence grew at all levels, reaching its peak in the lead-up to the departure of PLO factions from Lebanon in 1982, to the extent that the areas the PLO factions had controlled had become a virtual state within the state. The period of decline and collapse of institutions began with the departure of PLO factions from Lebanon in 1982 and ended with the signing of the Taif Agreement that ended the Lebanese civil war in 1989. During this period, the PLO’s operational institutions collapsed and the social, health care, and educational services they offered to the Palestinian people declined. By contrast, the role of civil society in providing relief services was enhanced. From 1989 to 2005 can be described as a period of deliberate neglect, beginning with the signing of the Taif Agreement and continuing through the signing of the Oslo Accords until the day former Prime Minister Rafik Hariri was assassinated. Nevertheless, during this period the Lebanese state resumed talks with PLO factions regarding Palestinian rights for the first time since the closure of the PLO offices in Beirut in 1982 and Lebanon’s unilateral abrogation of the Cairo Agreement in 1987. The period since the Hariri assassination has seen increased contact between the Lebanese authorities and the PLO, culminating in the creation of a committee within the office of the Lebanese prime minster. This is known as the “Lebanese- Palestinian Dialogue Committee” launched in October 2005 to initiate dialogue with the Palestinians. The dialogue resulted in the reopening of the PLO office in Beirut in May 2006. Most recently, Lebanon raised the level of Palestinian diplomatic representation in Lebanon to that of an embassy. This period was also marked by the war on Nahr Al-Bared refugee camp in 2007. The camp was completely destroyed and its population was entirely displaced. Attempts to rebuild the camp have failed, as the Lebanese state seeks to make Nahr Al-Bared an example of security control applicable to the rest of the refugee camps. In mid 2010, several parliamentary blocs submitted draft laws in parliament regarding the Palestinian’s right to work and own property in Lebanon. In its session of August 17, 2010, the parliament passed Law No. 129 amending Article 59 of the Lebanese Labor Law, and Law No. 128 amending Article 9 of the Social Security Law. However, the amendments were ambiguous and did not respond to the scale of the problem. For example, the amendments maintained the work permit requirement for Palestinian workers, continuing to treat them as foreigners under the law despite demands to abolish this requirement as was done for Syrian workers. Palestinians continue to be banned from practicing liberal professions including medicine, law and engineering, since the right to practice such professions is dependent on state reciprocity, which cannot apply to the Palestinians’ situation. Thus, Palestinians are only allowed to do manual and clerical jobs provided that they obtain a work permit. As for social security, the amendments allow Palestinian workers subscribed to the Social Security Fund to receive the end-of-service indemnity, whereas before they used to contribute to the Fund without receiving it. But the amendments still exclude Palestinian workers from the benefits of the family allowance fund and the maternity sickness fund even though they are required to pay their contributions to these funds, maintaining the injustice against Palestinian workers. However, despite their enactment one and a half years ago, Law No. 128 and Law No. 129 have not entered into force and are pending the issuance of a decree by the minister of labor. No one knows when this decree will be issued.6 In this way, the Lebanese legislature has circumvented the rights of Palestinian refugees to work and indefinitely postponed discussions over their right to own property, a right that has been misleadingly linked to Lebanese fears that Palestinians might be resettled in Lebanon. In light of Lebanon’s changing national priorities and the absence of a Lebanese consensus around fundamental issues such as the Special Tribunal investigating the Hariri killing and the role of the Lebanese resistance, the Palestinian issue is not a priority. It is, at best, a subject of bargaining and compromise between Lebanese political forces. If Palestinian refugees in Lebanon became citizens of the promised state, would they legally cease to be refugees? If so, would they lose their right of return and their right to compensation and restitution? What would be the fate of UNRWA in its five areas of operations, considering that it embodies the political and moral responsibility of the international community for creating the refugee problem, hence the responsibility to solve it in accordance with the principles of international law and relevant UN resolutions? What about UNRWA’s mandate over the refugees? Would the refugees be considered part of the mandate of the United Nations High Commissioner for Refugees (UNHCR)? Will UNHCR’s three solutions apply to them: local integration in the first country of asylum, resettlement in a third country or repatriation? If repatriated, where to? To a Palestinian state inside the June 6, 1967 borders or, as per resolution 194, to their original homes from which they were expelled in 1948? Palestinian refugees in Lebanon have reached an impasse: Their host country does not recognize their basic rights, while the prospects of a national state that would ensure their return and full citizenship rights remain an illusion. How are they dealing with this harsh reality? 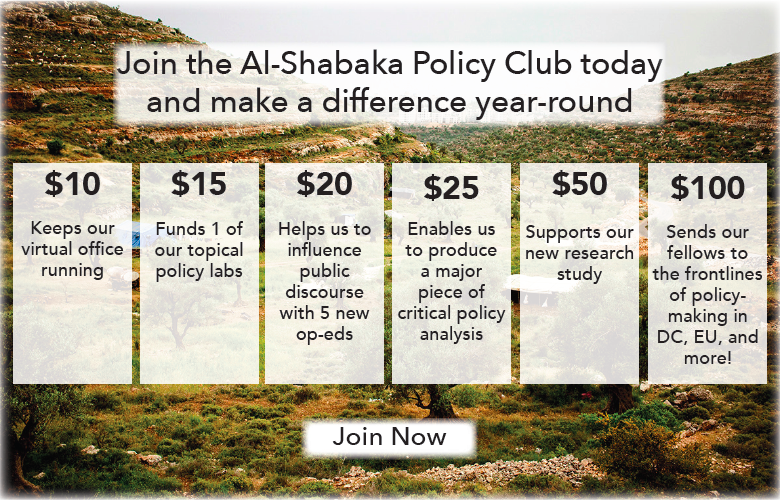 Palestinian civil society organizations and political factions have adopted a unified human rights and political discourse: “Upholding the right of return and rejecting resettlement is a joint Lebanese-Palestinian basic principle, so let’s work together to defend it with rights.” They argue that a Lebanese discourse supporting the right of return and rejecting resettlement while also refusing to grant Palestinians basic rights promotes the displacement of Palestinians from Lebanon and their resettlement in other countries. The Return March, organized on the 63rd anniversary of the Nakba on May 15, 2011, also expressed the basic return = rights equation. The aim was to assure Lebanese society and the government that while Palestinians strive to attain basic rights in Lebanon, they insist on their right of return and refuse resettlement. In short, Palestinians in Lebanon consider their struggle for basic human rights as simply a way of alleviating their daily suffering and a strategy to survive and an asset in their steadfast struggle towards preserving their national identity and realizing their dream of return. The Lebanese government should harmonize Lebanese laws with international standards by creating a separate legal status for Palestinian refugees in Lebanon that distinguishes them from foreigners. The Lebanese government should abandon the security-based treatment of and attitude towards the Palestinian civilian presence in Lebanon particularly in the refugee camps and replace it with a human security-based approach consonant with the human rights system and the holistic paradigm of development. Palestinians urgently need to establish a unified, authoritative Palestinian frame of reference for Palestinian rights that would be the basis for dialogue with the Lebanese institutions concerned. This should include all Palestinian factions as well as civil society organizations, which are very dynamic in defending the rights and interests of refugees. The continued existence of UNRWA must be ensured as the living witness to the origins of the refugee problem and to the responsibility of the international community to reach a resolution in accordance with the principles of international law. Any bid for statehood must in all cases preserve the inalienable rights of the entire Palestinian people, chiefly their right of return and self-determination. Any such bid must also preserve the representational status of the PLO and avoid political and legal language that could suggest that a “Palestinian State” within the 1967 borders represents the entire Palestinian people or that its mere establishment would mean the fulfillment of self-determination. Jaber Suleiman is a Palestinian independent researcher/consultant, who is currently a consultant for the Palestinian program of UNICEF in Palestinian refugee camps in Lebanon. He was a Visiting Study Fellow at the Refugee Studies Program, University of Oxford. 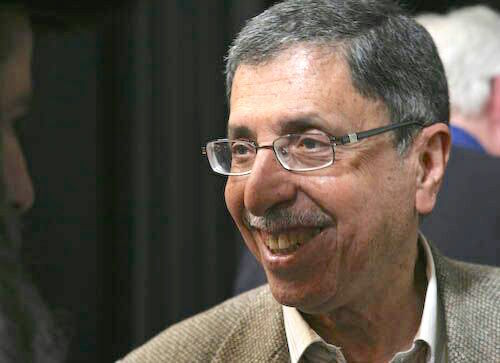 He is an activist in the right of return movement and Palestinian civil society, as well as the Coordinator of the Centre for Refugee Rights/Aidoun, Lebanon and has written several studies dealing with Palestinian refugees and the right of return.